“Beyond Citation: Critical Thinking About Digital Research,” a project that is part of GC Digital Initiatives, has been awarded a highly competitive National Endowment for the Humanities (NEH) grant. It is the GC’s third consecutive student-generated NEH Digital Start-Up Grant winner, and the second to begin in the Digital Praxis Seminar, a course focused on introducing Graduate Center students to digital scholarship. While still in its early stages, what’s compelling here is that we have a resource trying to deconstruct and lay bare the limits and possibilities of the vast network of databases that purchase, index, and serve up a vast amount of academic research. More generally, what’s wild about the above press release (and project) is that this is the third NEH Digital Start-Up Grant winner from the Grad Center for three years in a row—two of which were born of faculty/student collaborations in Steve Brier’s and Matt Gold’s Digital Praxis graduate seminar. 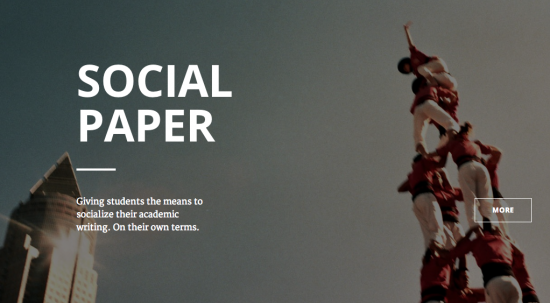 The other project was Social Paper, the 2014 NEH Start-Up grant winner was conceived of by doctoral students Erin Glass (English) and Jennifer Stoops (Urban Education) in collaboration with Matt Gold. Marilyn Weber recently wrote a post on this very blog about “Social Paper in the Classroom,” it comes highly recommended as a more detailed overview, but let me pull here from the source, “Social Paper is a non-proprietary socialized writing environment developed by and for the CUNY Academic Common.” In other words, as part of the CUNY Academic Commons grad students and faculty can share their papers with specific groups or more openly for comment from others. The vision of social media meets the dissertation workshop. The 2015 NEH Start-Up grant winner from the Grad Center was DH Box. This project is particularly fascinating to me because when I’m not blogging for the CUNY Academic Commons, I run an awesome web hosting company geared towards supporting folks in higher ed. I am deeply interested in providing faculty, students and staff their own digital sandbox to explore various tools like Omeka, WordPress, Scalar, Known, etc. What’s more, becoming more literate about how these tools work and what they mean for the future of scholarship, citizenship, and identity is crucial to the academic mission. 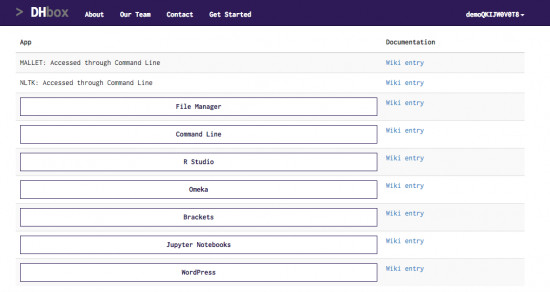 So, I was pretty blown away to see how dead simple DH Box has made getting Grad Center faculty their own cloud-based instances of applications like Omeka, WordPress, R Studio iPython Notebooks, and more. The project reminds me a lot of Sandstorm’s work around the virtualized personal cloud, and it is just another brilliant example of the consistently amazing work being produced as part of the Digital Initiatives at the Grad Center. A DH 3-peat! And now for my awkward transition back to my opening analogy with the Yankee dynasty of the late 1990s 🙂 One of the things that struck me when watching the Yankees in 1998 was a sense of the whole as greater than any one player—a reality that would return during the scourge that were the A-Rod years. CUNY’s digital work since 2009 has been built upon the foundation of a community; the CUNY Academic Commons is in many ways “The House Ruth Built.” It has provided a space where the sense of CUNY as a broader digital academic community is palpable, inviting faculty, staff, and students alike to not only imagine but try and build the digital tools they want to use. Not nearly enough schools dare to dream this big, and in this sense there is a Digital Dynasty going on right now at CUNY’s Grad Center, but it by no means stops there…that’s in many ways just the tip of the tremendous iceberg that is the City University of New York! This entry was posted in Citation Needed and tagged Beyond Citation, cuny, DH Box, Social Paper. Bookmark the permalink.